Smoking cigarettes has many health risks for everyone. However, the younger you are when you start smoking, the more problems it can cause. People who start smoking before the age of 21 have the hardest time quitting. Teens who smoke are also more likely to use alcohol and illegal drugs. The problem is not just cigarettes. Spit tobacco, e-cigarettes, and cigars are not safe alternatives to cigarettes. Low-tar and additive-free tobacco products are not safe either. 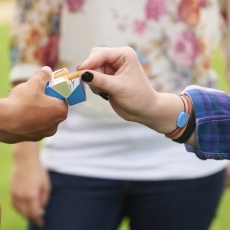 Young people who do not start using tobacco by age 18 will most likely never start.